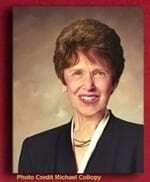 Riane Eisler, bestselling author of The Real Wealth of Nations: Creating a Caring Economics; The Chalice & the Blade and The Power of Partnership. Riane recognizes, "Our nation and our world are hungry for new ways of thinking." She sees opportunity for a sympathetic world by creating "caring societies" working through the economic system. "And as long as caring is off the economic scale, it's not realistic to expect more caring government and business policies." Riane emphasizes bringing a new type of cooperation into politics. "Partnership politics takes us outside the box of the conventional political conversation. Instead of arguing about religious versus secular, right versus left, Eastern versus Western, capitalist versus socialist, and so forth, we focus on the long-term policies foundational for the more peaceful, equitable, and environmentally sustainable world we all want and need." Listen to this episode of Leading Conversations with Cheryl Esposito to learn more!